Parley Ocean Plastic™ is an upcycled material made by Parley for the Oceans, and organization dedicated to raising awareness about environmental threats to the oceans and designing products that help protect these precious ecosystems. 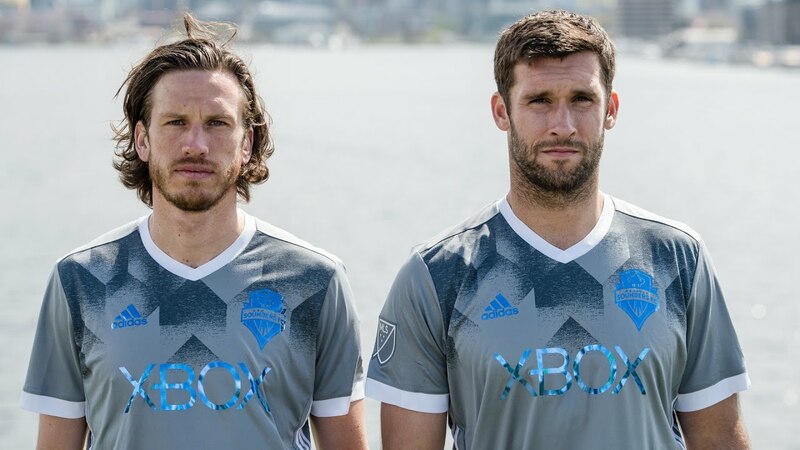 Their products are made from plastic washed up on beaches or in coastal communities and then converted into technical fibers that can be used to make shoes or clothing, like the jerseys MLS players will wear this weekend. "Creating change and playing soccer feels very similar. You strategize, you dive into the game and give everything you have. That's why you never truly lose. You just get better and better. And suddenly victory is yours, as if it is the most normal thing in life," Parley for the Oceans founder Cyrill Gutsch said in the Adidas release. Parley has designed other innovative products in addition to the Earth Day jerseys, which fans of either soccer or the oceans can purchase from Adidas or the MLS store. On March 31, it released a special version of the Adidas Originals NMD_CS1 design. Parley also partnered with Soma to design a reusable water bottle with a sleeve made of the equivalent of two plastic bottles washed up on remote islands or coastal towns. A limited run of the bottles will be available from more than 5,000 Starbucks in the U.S. and Canada. Parley's innovative products form the "R" of its A.I.R. strategy for combating plastic pollution—"Avoid plastic whenever possible," "Intercept plastic waste" and "Redesign the plastic economy," according to the Parley website. "Plastic is a design flaw. We cannot fix it overnight, but we can all take steps to create change," Gutch said in a statement about the Soma collaboration. This weekend's games will not be the first time that Adidas, MLS and Parley have worked together on behalf of the world's oceans. Last year, New York City FC, Orlando City SC, LA Galaxy and Seattle Sounders FC wore the special jerseys. Parley and Adidas first launched their partnership in 2015. The MLS, like other sports organizations, has made an effort in recent years to champion the environment. It has been a member of the Green Sports Alliance since 2013 and its MLS WORKS Greener Goals initiative works to reduce the league's carbon footprint and promote environmental causes. "We're proud to support Parley for the Oceans and encourage the soccer community to create a cleaner, healthier environment," MLS chief administrative and social responsibility officer JoAnn Neale said in the Adidas release.